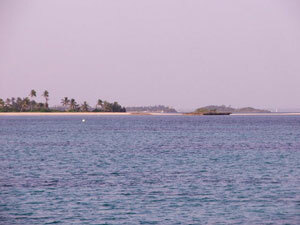 Tahiti Beach, at the south end of Elbow Cay, is a favorite local spot and is perfect for picnics, swimming and snorkeling. Swimmers can wade out a good distance from the beach on an extensive sand bar and play water games or just relax in the shallow, warm waters. Snorkeling around the rocks is a great activity, there's always plenty to see, however, the less energetic of you can choose to relax under a palm tree and catch some shade. Lubbers Quarters lies directly opposite Tahiti Beach and provides a great anchorage in nearly all weather conditions. There is some interesting shoreline to explore on Lubbers Quarters, especially at low tide but water shoes are definitely required. Keep your eyes open for the elusive and endangered Abaco Parrot, which can be seen at various locations throughout South Abaco. This small, quaint island is also home to the renowned Cracker P's restaurant where every month they host a Full Moon Party.